Balloon & Party Hat Sweet Dixie Mini Dies. The mini die designs introdude fantastic designs that will bring style to your craft project. Whether you are wanting to cut, emboss or as a stencil, the mini dies can be used with the Sweet Dixie die cutting machine and other leading cutting systems. 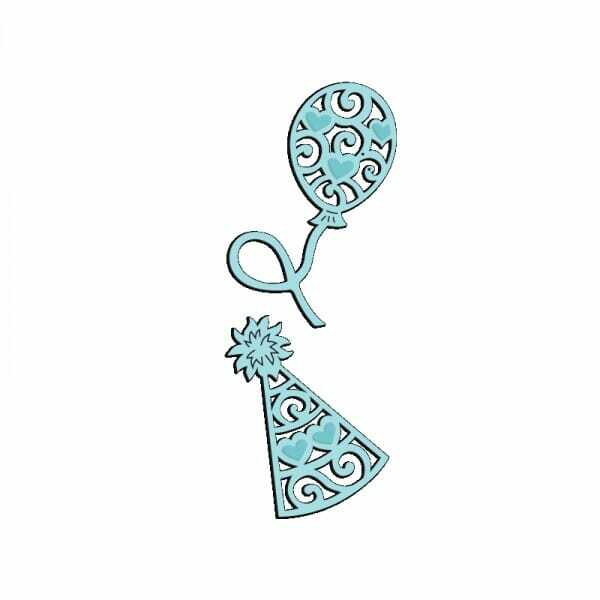 Customer evaluation for "Sue Dix Designs - Balloon and Party Hat Sweet Dixie Die"